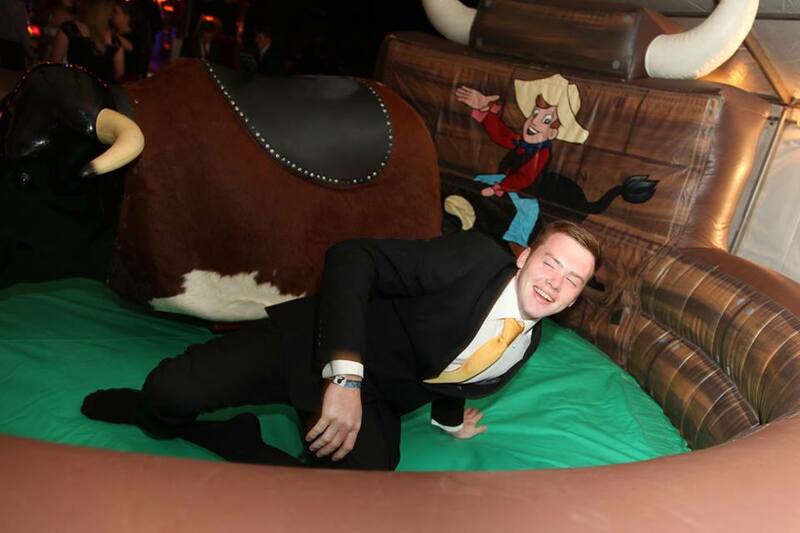 Our classic Rodeo Bull, also known as the Bucking Bronco or mechanical Bull, is an exciting way of entertaining your guests and is guaranteed to create memorable party moments! 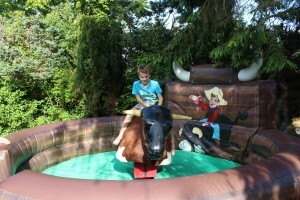 The Rodeo Bull features flashing red eyes, leather saddle, authentic horns and a fantastic wild west theme inflatable safety surround with a backdrop. (as pictured) Our Rodeo Bull also features a large red digital display timer so your guests can see exactly how long they have managed to hang on for! 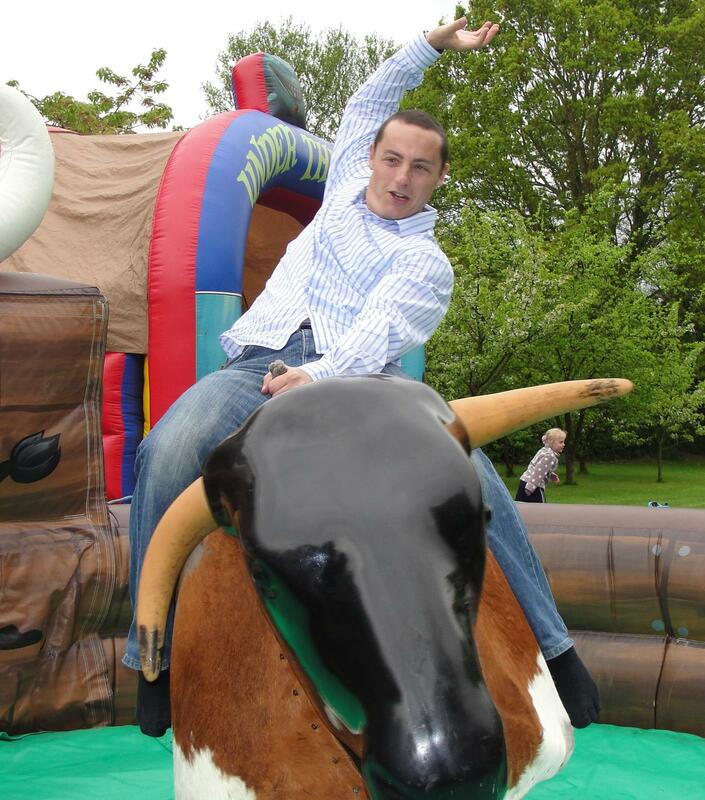 Rodeo Bull Hire is popular for birthday parties, wild west nights, staff and team building events and summer BBQS – contact us now for a competitive quote! NOTE: If the venue is not on the ground floor then use of a lift will be required. For access to site, there can be no gaps or gateways less than 36 inches width. Indoor/marquee hires only from October – March inclusive. 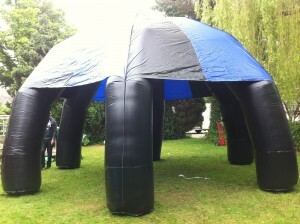 Our Rodeo Bull can be set-up in shopping centres, village halls, hotel function rooms, offices and even a fire station! We can also set-up inside marquees. 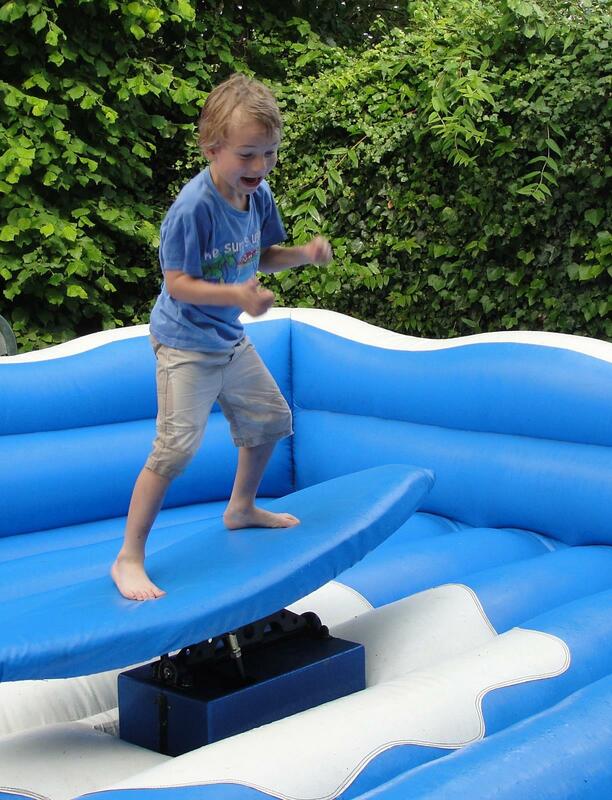 From April – October, we can set up our Rodeo Bull outside on a grassed area or hard standing. 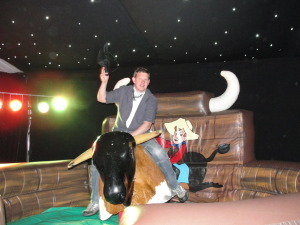 Jest Event’s Rodeo Bull Hire/Bucking Bronco Hire is available in Hampshire, Surrey, Berkshire, Dorset, Wiltshire, West Sussex, Southampton, Portsmouth, Bournemouth, Andover, Aldershot, Basingstoke, Isle of Wight, Winchester. Don’t let the rain beat you on event day! Hire our inflatable dome shelter to cover your Rodeo Ride so the fun can still go on!! Please enquire for more information.